NuPlus is an exclusive herbal nutritional product based on an ancient Chinese formula – thousands of years of research and testing. NuPlus is a whole, bio-available food the body recognizes, can easily assimilate and use for regeneration. NuPlus is a concentrated herbal nutritional foundation on which to build a solid and healthful diet. NuPlus comes in 6 different varieties and is packaged in 15g packets or bulk. The packets are convenient to take with you or use at home. The bulk is great for a family. Regular (Bulk size only) is ideal for those on liquid diets and for babies. Simply Herbs (in 15g packets or bulk) mild flavor – so it works great for adding to recipes. Has a smoother texture than the varieties with fruit pieces. Ingredients: Coix Fruit, Soy Beans, Chinese Yam, Fox Nut, Lotus Seed, Lotus Root, Waterlily Bulb, Green Bean, Red Bean, Black Bean, White Bean, Imperate Root. The following 4 varieties are Simply Herbs with the addition of natural, freeze-dried fruit pieces. Each is available in 15g packets or bulk. Keeping a balanced diet is essential for health. Our daily food intake is usually unbalanced. We need to nourish our bodies with a variety of balanced foods. Packed with essential nutrients, NuPlus is a balanced blend of complex carbohydrates and essential proteins. It is formulated with concentrated herbs, soybeans, red beans, green beans, white beans, black beans and freeze-dried fruit. Additional dietary benefits include naturally occurring bioflavonoids, antioxidants, amino acids and phytochemicals. · A balanced blend of complex carbohydrates combining concentrated herbs with soybeans and other legumes and natural freeze-dried fruit, no added sugars. · A unique formulation with naturally occurring bioflavonoids, antioxidants, amino acids, and other beneficial phytochemicals. · Consumable as a beverage or a food for a convenient source of nutrients, naturally low in sodium. 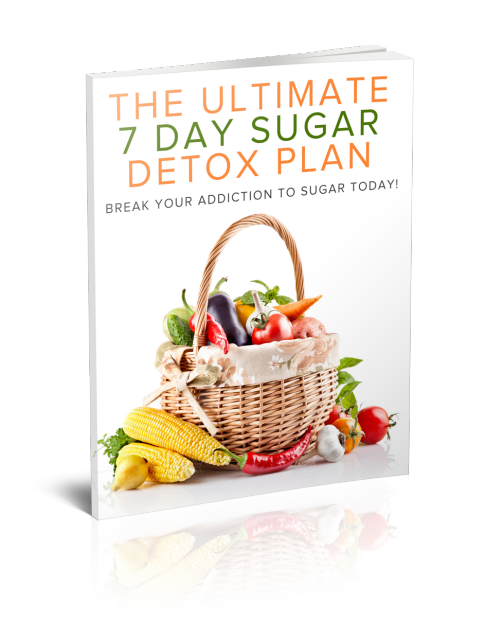 · Often contain only refined sugar as a source of carbohydrates rather than natural herbs, fruit, and vegetables. · Most do not contain antioxidants, bioflavonoids, or other effective phytochemicals. · Often contain artificial flavors and colors, high-calorie sugars and fat. · Perfect for the entire family; formulated for pregnancy and growing children, wonderful for the elderly and those acutely ill or anyone who wants to feel great!! NuPlus is great to consume between or before meals. Conveniently sized so it’s handy to take with you anywhere! NuPlus powder can be eaten straight from the package, in water, juice or Calli and/or Fortune Delight. Add Sunectar (Suncare in Canada) or SunnyDew (Suncare Plus in Canada) to taste. Great added to smoothies, fruit or pasta salads, rice or soymilk, yogurt, cereal, baked goods, or any table food you like! Eat a minimun of 2 scoops a day. Many people eat 5 to 10 scoops a day! VitaShake or NuPuffs count as your daily NuPlus, if you enjoy those instead or in addition! (Main ingredient in NuPlus). Extremely regenerative; powerful anti-oxidant, restores energy; counters diarrhea; helps eliminate excess water; strengthens defense and nervous systems; lowers cholesterol, stabilizes blood sugar levels, reduces muscle tension; expels poisons; beautifies skin. (Second ingredient in NuPlus) Delays aging, eases menopause (has good, harmless plant estrogen); beneficial to weight management; fights fatigue; helps regulate blood sugar; strengthens the spleen; lessens indigestion; and lowers harmful LDL cholesterol without affecting beneficial HDL (soy compound genestein helps block formation of fatty plaques, reducing a risk of heart disease). (NOTE: - Dr. Chen does not use indigestible soy protein ISOLATE. – see notes below) Dr. Chen soaks the beans to start the sprouting process, which increases the nutritional benefits of NuPlus. The sprouting process allows more of the enzymes, vitamins and minerals to be digested, plus it eases digestion and helps eliminate excess gas. Benefits poor circulation; helps relieve joint pains, diarrhea, incontinence, thirst, dizziness, restlessness, chronic fever, and stomach disorders; increases energy and systemic balance.